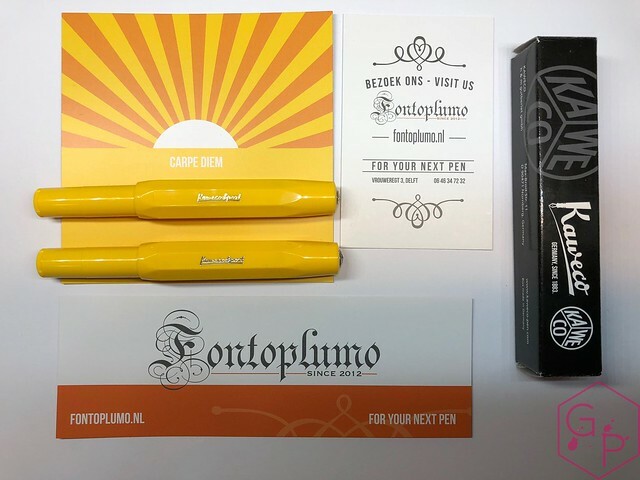 Thank you to Fontoplumo for sending these cuties for a review! 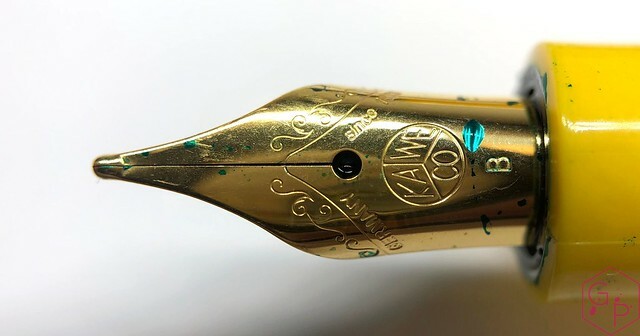 Length (uncapped nib-end): 99.96 mm/3.93"
Section Diameter: 9.56 - 9.77 mm/0.37" - 0.38"
The Kaweco Sport has a small, round body with a slightly rounded off back end. The cap has flat facets around it that cover most of its length. 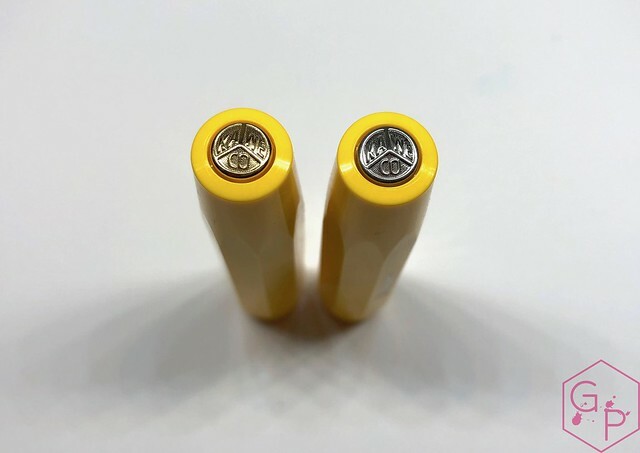 It is engraved with Kaweco Sport on the side in silver or gold. 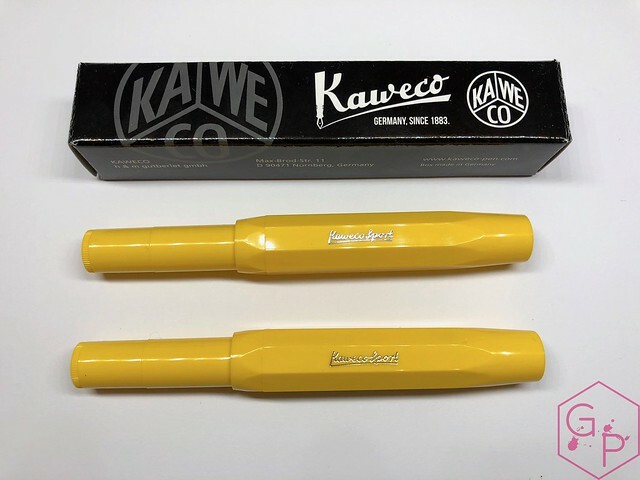 The finial has the Kaweco metal emblem in silver or gold. The Sunset has gold trim and the Sunrise has silver. 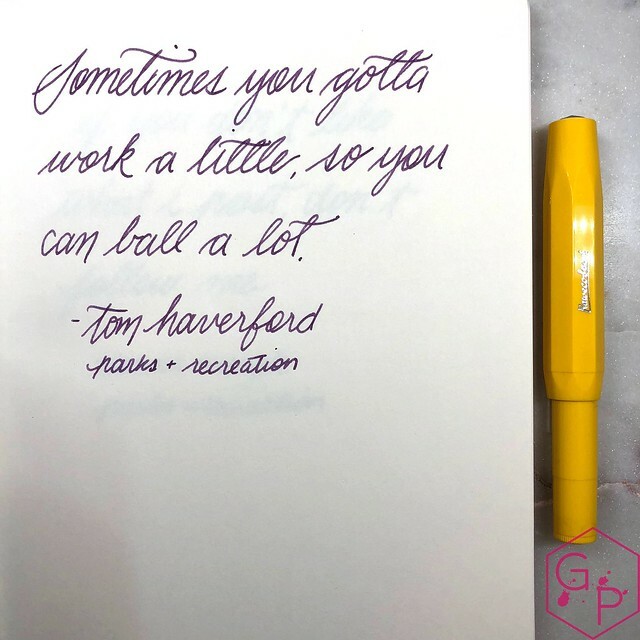 The section is on the smaller side, but it suits the pen. It's round and has a slight indentation, and ends bluntly. 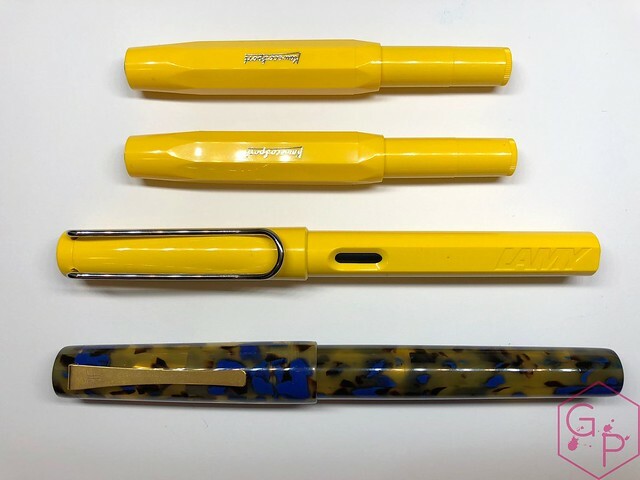 The Sports look like pocket-sized pens, but once posted, they look normal - that's part of their appeal. I love how they look either way. 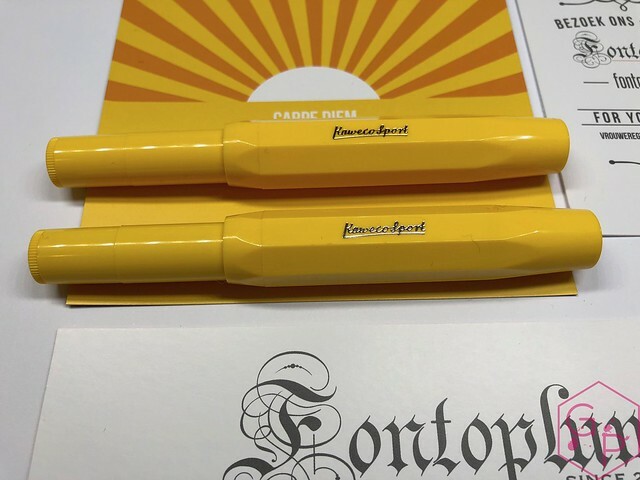 The broad steel nib is silver on the Sunrise and gold on the Sunset, matching the rest of the trim. 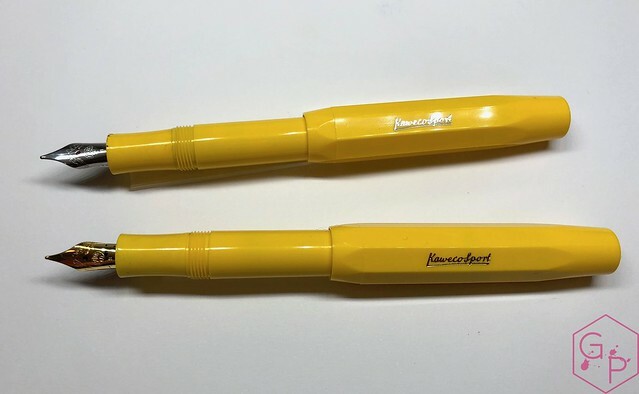 It has the Kaweco logo stamped on it, along with some flourishes, and B for the nib size. 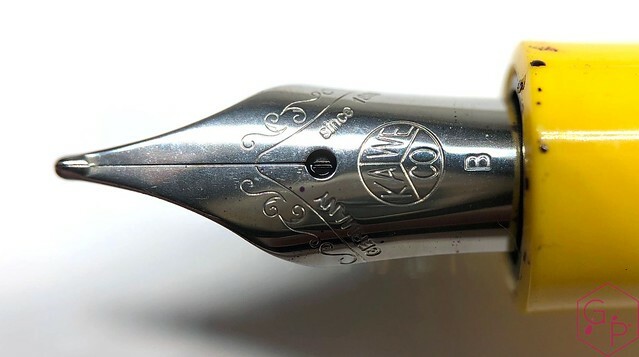 I like that the nib sizes are clearly indicated on Kaweco's nibs. 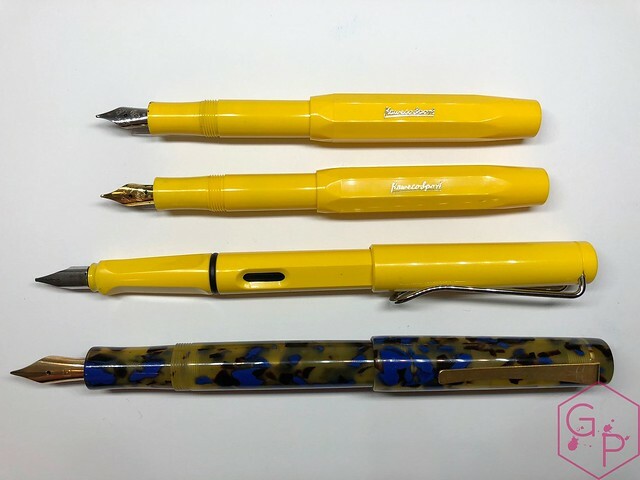 I have found that Kaweco nibs tend to run on the dry side, which is a quick adjustment, but I left both as is for this review. The finer nibs don't exhibit this as much and the broader nibs sometimes are overpolished and skippy. Fortunately, neither of these nibs had this problem and they both wrote well. It's a little hit or miss, but either way, it's easy to fix. 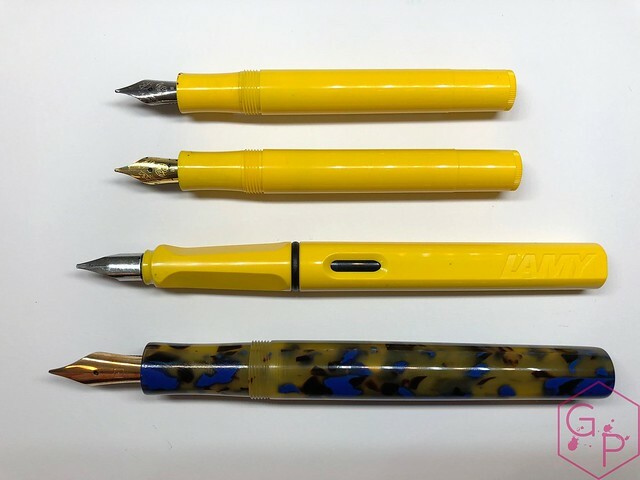 Worst case, contact the retailer or Kaweco and they'll get you fixed up. 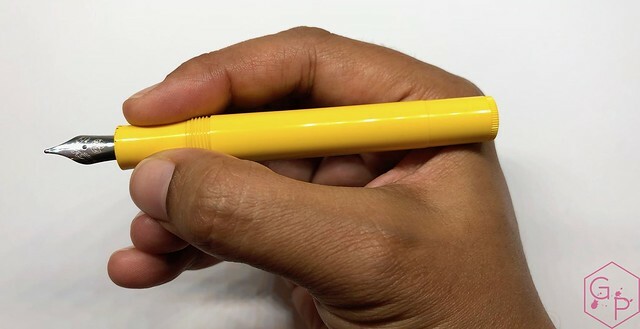 These are clipless pens, but you can purchase clips separately. The section serves its purpose without issue. I don't find it uncomfortable but it's not crazy comfortable either. It just works. It's a light, simple pen so this is just fine. 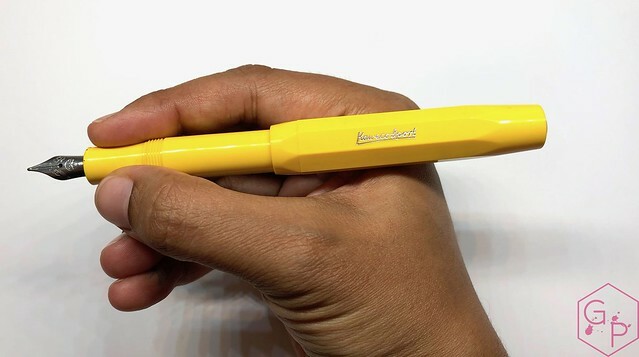 The Kaweco Sport models are very comfortable - I actually quite like the feeling of the plastic as it warms in my hand. I like to use mine posted because it's just the right width, length, weight, and balance this way. I can also use it unposted, but it feels a little short. I love how deeply and snugly the cap posts. It's very secure and feels safe. 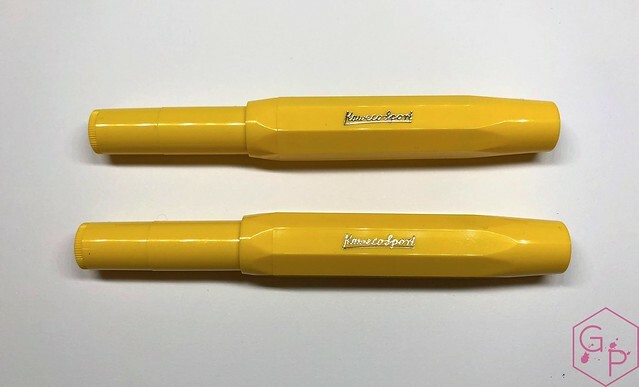 What is it about the Kaweco Sport that is so appealing? 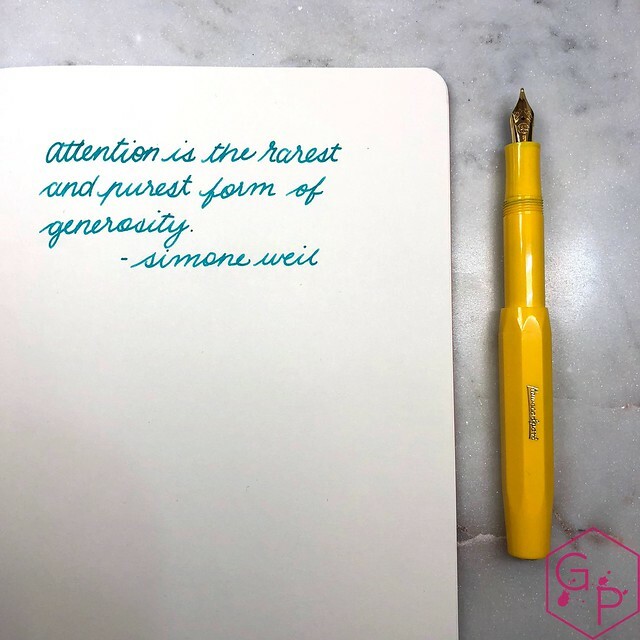 They're affordable, quite robust, easy to use, totally gift-able to friends and family, the nibs are generally quite reliable (perhaps not tuned exactly to every individual's taste but they work well enough), and they're easy to find. Tempting to collect, too. This pair is so cute and happy!